Of all the areas of industrial psychology perhaps the most important and certainly the least understood, is that of motivation of workers. It is saying, “A horse can be compelled forcefully to move up to water, but we can’t compel them to work honestly, efficiently, effectively and economically if they are not motivated. Human factor is the most important factor of industrial production and that human factor is the most complicated phenomenon of industrial life. Mishandling of this complicated factor of production may lead to serious consequences. Workforce must be motivated to achieve desired goal. The Pharmaceutical factories of Bangladesh are one of the most important industrial sectors of the country. There are national and multinational pharmaceuticals companies in our country. There are some obvious factors of motivation which can lead the workmen of the pharmaceuticals industries to attain desired goal; higher productivity; of the companies & the absence of such factors lead to labor unrest and fails to secure company’s target, hence the matter should studied and try to locate the reasons for which the dissatisfaction in labor is prevailing and need to find out the possible scheme for motivating workmen for better performance. GlaxoSmithKline Bangladesh Ltd, from its early stage has stimulated the pharmaceutical Industry of the country with its variant existence. The top management team of GlaxoSmithKline Bangladesh Limited is a dynamic group, where each of them substitutes for their imperfections. Though GlaxoSmithKline Bangladesh Limited is not the top Pharmaceutical Company in the country, still the organization with its effectual technicality in both its products as well as imperative decision-making has created, captured, conjectured and conquered a big portion of the market of the total pharmaceutical industries in the country. I decided to conduct a research on the present state of motivation of the GSK employees to find what GSK employee value as motivators. To find out how the employees rank the existing facilities offered by GSK. To come out with the possible outcomes to increase motivation among the GSK employees for higher productivity, this will definitely benefit GSK Bangladesh LTD. I was eager to find all these things because if these things can be found out then the overall productivity of GSK, Bangladesh will improve. The major objective of this report is the partial fulfillment of the requirements of internship program of BBA Program at Independent University, Bangladesh. Fortunately GSK management has assigned this topic “Motivate the employee for higher productivity” to fulfill the partial requirement of my internship. 1. 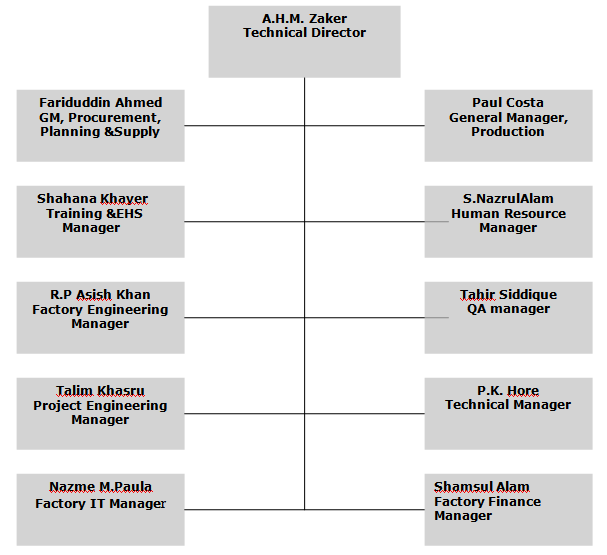 To understand the existing productivity of GlaxoSmithKline in production department. 2. To find out the present state of motivation of the GSK employees for higher productivity. 2To find what GSK employee value as motivators. 2How the employees rank the existing facilities offered by GSK. 2To come out with the possible outcomes to increase motivation among the GSK employees, this will lead GSK Bangladesh LTD towards higher productivity. All the secondary data, charts, and production processes so used here collected through “Lecture method” and “Face to face interview method”. In the lecture method, the persons concerned delivered their speeches related to particular topics and I had to note them down. In the face-to-face interview, method I asked the questions related to particular topics and they answered accordingly. After that, I have seen practically how things work by observations. The research on two topics was conducted by designing Combined Questionnaire (both open ended and close ended) and collecting data from those questionnaires. The questioner is designed with both open-ended question & close-ended questions. The questions are undisguised questions, which is clear, simple & clear-cut. The questions are easily understandable, research related & based on the background analysis of the overall respondents. Most of the questions are based on (0-5) measurement scale. The surveyed data were converted to absolute frequency, relative frequency, percentages and cumulative relative frequency. Some questions are cross-tabulated by dependent & independent variables. It should be noted that the study was subject to certain limitations. The authority of GlaxoSmithKline Bangladesh Limited was so busy in my internship period that they could not provide enough time for me despite their frantic effort. The workers also tried to avoid giving proper answer in fear of termination by the management. In 1873 it was originated as Joseph Nathan and company in New Zealand with the founding of a small import export company. It started its operation as a processing unit of abundant fresh milk of New Zealand. The only product it was producing was Glaxo baby food. In 1875 it started to export baby food to UK. Alec Nathan, son of Joseph Nathan, coined the name Glaxo from Glactose. Joseph Nathan Company entered the pharmaceutical industry in 1924 with the manufacture of Ostelin, the first vitamin D preparation. The importance of the pharmaceutical market was soon realized and in 1935 Glaxo laboratories limited was founded with its head quarters at Greenford, Middlesex, London for the production any marketing of foods and pharmaceuticals. After the 2nd world war, Glaxo developed rapidly. Glaxo laboratories limited absorbed its parent Joseph Nathan and company and became a public company in 1947. In 1963, Edinburgh Pharmaceutical Industries Limited, which owned Duncan, Flockhart and Company Limited and Macfarlan Smith Limited, Joined Glaxo. While reorganization was taken place, Glaxo group in 1968 acquired Farley’s Infant food limited. Glaxo entered the field of antibiotics in 1943 with the production of penicillin. It also expanded through acquisition, notably Allenn & Hanburys, probably the UK’s oldest pharmaceutical co. It acquired 100% share, of Wellcome PLC on May 01, 1995 and formed GlaxoWellcome PLC. In 1998, Glaxo Wellcome achieved a number of regulatory milestones for several of its key projects, such as ZEFFIX for the treatment of influenza Vaccine. In 2000, Glaxo Wellcome and SmithKline Beecham merged to form GlaxoSmithKline a world leading research based pharmaceutical company. Glaxo is the only British organization in the world’s top 20 pharmaceutical companies. Subsidiary companies are established over 50 countries of the world many with their own manufacturing facilities, and the group has agency representation in more than 100 offices. Its global quest is to improve the quality of human life by enabling people do more, feel better, and live longer. GSK lays down its strategies with the intention of being the Indisputable leader in the pharmaceutical sector. Indisputable in the sense of quality of the product, price, attainment of administrative operational excellence, selling and distribution network, more precisely in every sphere of its activities. Quality is at the heart of everything we do- from the discovery of the molecule, through product development, manufacture, supply and sale – and is vital to all the services that support our business performance. GlaxoSmithKline is the leading and largest pharmaceutical company in Bangladesh. After independence of Bangladesh, it was a Glaxo subsidiary and in 1974 Glaxo Bangladesh limited was established as a Company. In 1969 a supporting factory of Glaxo Laboratories (Pakistan) Ltd. was formed in Chittagong. In the year 1951, Glaxo Laboratories (Pakistan) Ltd. started its sales office at Chittagong. Later on Branch sales office were started in Dhaka and Khulna respectively. The construction of ChittagongFactoryBuilding was started in 1958 and completed in 1965. Factory started its production in 1967 with foods and pharmaceuticals. The factory of the company is situated at Chittagong and its marketing Directorate is based in the capital city of Dhaka. At the beginning of the factory there were around 250 workers / employees in the company. At present the employee strength of the company is about 800. It has 12 sales deports in different district towns of the country covering most of the areas of the country. It facilitated the customers to get the company products as heir premises within shortest possible time at the company cost. GSK Bd. Ltd. produces baby foods, Glucose, Antibiotics and pharmaceuticals. It has 67 items. In 1996 it has been incorporated as GlaxoWellcome Bangladesh Limited and in October 2002 it has been incorporated as GlaxoSmithKline Bangladesh Limited. The corporate office and Marketing division shifted to Dhaka in 1998. The factory is in a two storied building on 67000 sq. meter of land. 82% of its share belongs to group and the remaining 18% belong to the Bangladeshi companies and various individuals. Marketing Director: To monitor the Market demand and ensure the supply appropriately. Finance Director: To look after the financial position of the company. Quality Assurance Director: To assurance quality. The factory has facilities for manufacturing of Tablets, Oral, Liquids, Ointments, Creams, Capsules, Dry Syrups, Liquid injections, Sprays and drops. Manufacturing & packing of inhaler, Penicillin, land few non penicillin products have been contracted out to two local manufacturers i.e. Beximco Pharmaceuticals limited (BPL) and Therapeutics (BD) Ltd. (TBL). Before selling its product GSK makes sure that all its products are registered with drug registration according to the Drug Control Ordinance. GSK sells its product through its own sales offices. It has its own distribution network with 12 departments and a field force consisting of 125 medical representatives. GSK performs SWOT analysis to assess its strengths, weaknesses, opportunities and threats. 1Top Class R&D: As GSK is a world leader research based multinational company so it has the world best pharmaceutical researchers and labs in different part of the world and continuous of extensive research by those researcher contributions GSK new inventions, medicines which render services to the mankind. EX- a new medicine is coming up of GSK which will be tremendous helpful for the AIDS patients. 1High level of in house knowledge and resource: As GlaxoSmithKline is the 2nd best pharmaceutical company in the world and it has world class R&D, so naturally it has supreme knowledge about pharmaceutical products and resources. This created a Strong market image all over the world. Good Acquaintances: one of the major strength of GlaxoSmithKline Bangladesh Limited is its financial feedback and back up as it is the 2nd ranked pharmaceutical company in the world. As it has offices and plants in different leading countries so the firm has never suffered from any financial crisis. Well-known Multinational in the pharmaceutical industries sector: GlaxoSmithKline Bangladesh limited is an emerging company in the pharmaceutical industries sector. For its multidimensional concept in the context of Bangladesh, it drew the attention of people very quickly and with in a short period of time it has gotten a wide range of customer base. Efficient Performance: GlaxoSmithKline provides hassle free customer service to its customer base comparing to the other pharmaceutical companies of Bangladesh. The Company’s motto is to take personalized approach to the need of the customers. Enthusiastic Workforce: The selection and recruitment of GlaxoSmithKline Bangladesh Limited emphasizes on having the skilled graduates and postgraduates who have backgrounds or job experience for that particular job. The logic behind is that GlaxoSmithKline wants to avoid the problem of garbage in and garbage out. These type young and fresh workers stimulate the whole working environment of GlaxoSmithKline. Empowered Work Force: The human resource of GlaxoSmithKline is extremely well thought and perfectly managed .As from the very first the top management believed in empowered employees. This empowered environment makes GlaxoSmithKline Bangladesh Limited a better place for the employees. The employees aren’t suffocated with authority but are able to grow as the organization matures. They feel proud to be a part of the organization. Equalization: At GlaxoSmithKline Bangladesh Limited, workshops are conducted periodically. In the workshops, all the executives participate as equals; the executives are free to challenge top managers with ideas openly. 1Distinct Operating procedures: GlaxoSmithKline Bangladesh has distinct operating procedures. Production capacity and demand of customers are assessed by GlaxoSmithKline helps to decide how much to produce with in a one business year. Distinct Schedule: Everyone in the GlaxoSmithKline Bangladesh Limited from the appraiser to top management has to work to the same schedule toward a different aspect of the same goal, interfacing simultaneously at all level over quite a long period of time. 1Training and educational program for all employee: To ensure the supremecy GlaxoSmithKline always arrrange training and educational programs for continous upgradation for their employees . Raw material restrictions: GlaxoSmithKline just cannot use raw materials from any source though it might be cheaper than present source. Prolong decision making: As GSK is a world leader research based multinational company so to a certain extent they cannot compete with the local pharmaceutical company in Bangladesh because for GSK it needs to under go at least 5-6 years extensive research to lunch a new product. Lower degree of customer’s Confidence: To the citizens of Bangladesh, GlaxoSmithKline is not uniquely dominated in the field of pharmaceutical industry. Additionally because of the dominant existence of Square, Beximco pharma people are indifferent in buying medicine from GlaxoSmithKline Bangladesh Limited after providing the highest quality products. So existence of the giant competitor GlaxoSmithKline business growth is in under pressure. 1High Demand of Quality Medicines: Next to fooding, clothing and housing, health treatment is a basic need of people. The most important thing of a human being is his or her health. Since health treatment is one of the basic needs of people, there is always a high demand of quality medicines, the prime output of GlaxoSmithKline. 1Absence of Substitute products: As GlaxoSmithKline is the worlds best research based pharmaceutical company so continuously it has coming up with lot of innovations and inventions .So considering these new products local pharmaceutical company’s are totally unmatched with the GlaxoSmithKline regarding innovations and inventions. 1A Strong Network: One of the major positive aspects of GlaxoSmithKline Bangladesh Limited is its worldwide network. Established of different R&D, biotechnology, clinical development, actives supply, product supply and management know-how in different countries facilitate to run the whole operation efficiently. 1Contract Manufacturing: Speed of implementation at contractor site is faster then in-house and cheaper as the GlaxoSmithKline Bangladesh limited doesn’t have to invest huge amount to install machines and support systems to produce those products. .
1Pricing: As GlaxoSmithKline Bangladesh Ltd ensures High quality product and raw materials, so its products price is comparatively high then other local brands. Due to this reason Present customers are switching over to other local brands like Beximco pharma, Square Pharma etc. 1Ethical Standard: Company ethical issues are so sound that GSK cannot perform any unethical task to manage drug administration and other tribulations to maximize profit. 1Bangladesh Government’s regulation: Government regulation can be a big threat, if the government implements restriction to the multinationals to improve the local national pharmaceutical brands. 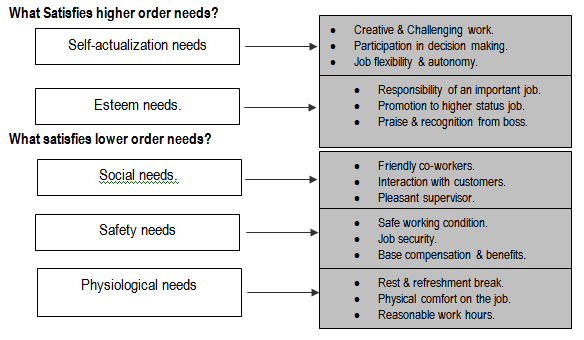 Fig 1: Opportunities for individual need satisfaction: things people may want from their work.needs? Maslow showed the limitations of his hierarchy of need. The need hierarchy is by no means perfect. A neurotic man may have esteem in the third stage, that is, in the social need level. Needs are overlapping. A satisfied need no longer motivates a man. In another study, it was found that as managers advance in an organization, their physiological and safety needs tend to decrease in importance and their needs for affiliation, esteem and self-actualization tend to increase. The equity theory of motivation is best known through the work of J. Stacy Adams. The essence of the theory is that perceived inequity is a motivating state that is when people believe that they have been inequitably treated in the compression to others they will try to eliminate the discomfort and restore a sense of equity to the situation. The fig bellow (Fig 3) shows the equity comparison. It is typically occurs whenever managers allocate extrinsic rewards especially monetary incentives or pay increases. Inequities occur when ever people feel that the rewards received for their work are unfair and given the reward other person appear to be getting. Fig 3: The equity comparison: perceived inequity as a motivating state. The compression others are compared to may be coworkers in the group, workers elsewhere in the organization and even person employed by other organization. Adams predicts the people will respond in one or more of the following ways perceived inequity. Change their work inputs – put less effort into their jobs. Change the rewards received – put pressure on for better treatment. Change the compression points – transfer from or quit the job. The research of Adam and others largely accomplished in the laboratory, lends some support to the prediction. It is most conclusive in respect to felt negative inequity a condition that most managers would want to avoid. People who feel underpaid that is inequity, tend to reduce their work effort to compensate for the missing rewards. They are less motivated to work hard in the feature. People who feel overpaid that is who perceived felt positive inequity have been found to increase the quantity or quality of their work. However many open questions in this particular issue remain to be answered. Equity theory is a good reminder that the way rewards are perceived by their recipients largely determines how they effect satisfaction and performance. It is not the reward’s absolute value or what a manager thinks that counts; it is what the recipient thinks about them that determines motivational outcomes. Rewards perceived as equitable should have positive result: those perceived as in equitable may create dissatisfaction and reduce performance. It is every manager’s responsibility to ensure that any negative consequences of the equity comparison are avoided or at least minimized when rewards are allocated. Informed managers anticipate felt negative inequities whenever especially visible rewards such as pay or promotions are allocated. Instead of letting equity concern get out of hand they carefully communicate the intended value of rewards being given, clarify the performance appraisal upon which they are based and suggest appropriate comparison points. Pay is a common source of controversy in the workplace. Consider the issue of gender equity. It is well established that a women earns less than man. This difference is most evident in occupation traditionally occupied by dominated by men. An additional equity question relates to the issue of comparable worth – the concept that people doing jobs of similar value based on required education, training and skill should receive similar pay. Criticism claims that similar value is too difficult to define and that the dramatic restructuring of wages scales would have a negative economic impact on society as a whole. Lack of confidence among the employees. Feeling unimportant. An organization is productive is it achieves its goals and dose so by transferring inputs into outputs at the lowest cost. Productivity can be defined as the amount of output produced divided by the amount of input used. The greater the amount of output produced from a fixed quantity of inputs, the higher the productivity. Similarly, the smaller the quantity of inputs requires producing a fixed amount of outputs, the higher the productivity. Measuring and comparing productivity at a practical level is very hard and sometimes it can provide problems, for instance, when there are several inputs and outputs, it can be difficult to combine them into common units of measure, etc. Because of these types of problems, productivity is measured in various ways, depending on the circumstance. There are some common ways of measuring productivity. One of them is the output/labor ratio: units of output produced/persons-hours of labor used. At a macro level, this ratio has been used to compare different production systems that make commodity-type products. This ratio is most useful in operations management for evaluating the performance of individual machines or departments over time or for comparing the performance of individuals performing the same tasks. Another of them is output value/labor ratio: monetary value of output produced/person-hours of labor used. This tool used when a variety of products is produced and the quality and mix change over time and output need to be converted to a common measure. Value- added/labor ratio is another way of measuring productivity. It means monetary value of out put-cost of inputs excluding labor. By this measurement company can measures how much additional value created by the company’s workers, not those of its suppliers; which calculated by value/labor ratio. Although productivity measures have some benefits, they seem to be most appropriate for comparisons among homogenous situations. A major danger in using productivity measures at the division or company level is that they can often be improved by shrinking operations that gives company shot term profit maximization but long-term profitability is fated. To avoid this situation, organizations needs to improve work and adopt better technologies. These actions create long-term productivity increases that are healthier not only for the company but for the economy as whole. GlaxoSmithKline Limited is a productive unit and it produces pharmaceutical products. Since it is a drug manufacturing industry, it has the ethical responsibility to place the products before the customers in pure, totally safe and active form. Moreover, it has to observe Govt. regulations in this regard. To ensure proper Specification of bulk and finished goods. To achieve & maintain consumer’s trust. To make the maximum use of company’s resources. To establish manufacturing formula & methods. To manufacture drugs, foods, medicines. To train employees particularly those working in the production floor. To develop packaging components for finished products. GSK uses modern technologies for higher productivity. To calculate the productivity they follow the output/labor ratio. In general, to calculate productivity, GSK first identify the (A) total clock time available and then calculate the (B) total time spend for break and other purpose like machine adjustments. After this, they deduct (A) from (B) and find out standard available working time per persons. The GSK management has a standard output rate per day and they divide that with the available working hours. 2. HOUSE RENT : 92% of basic pay. (a) Minimum : 92% of basic pay. (a) Who avails Company’s transport. In case of interruption in the services of Co’s transport, workers are paid Tk. 12/- per head for each trip. (b) Who does not avail Company’s transport. Deductions Tk. 11/- and Tk. 9/- is made from Supervisors & workers respectively for each day of absence without leave of leave without pay. Employee below supervisor is entitled to Tk. 660/- for treatment of his family members. A selection grade employee is entitled to free treatment for self, wife and children up to 18 years of age. 5. CHILDREN EDUCATION ALLOWANCE : Tk. 400.00. The unmarried employees are also entitled to the allowance. 6. ENTERTAINMENT ALLOWANCE : 6% of basic pay. 8. GOOD ATTENDANCE BONUS : Workers/employees are entitled to Tk. 90/- per head who have not availed an leave except annual leave taken for a minimum of 3 days and not absence without leave & also whose lateness during the month does not exceed 30 minutes. 10. BONUS 33% of basic pay earned in a financial year which is normally equivalent to 4 months basic pay. 11. FESTIVAL BOUND Two month’s average basic salary earned. 12. LEAVE FARE ASSISTANCE : Equivalent to one month’s average basic pay. 13. LEAVE INCENTIVE : If an employee does not avail any casual leave in a calendar year he is paid one month’s basic pay. 75% of basic pay who does not avail more the 3 days C.L. and 50% of basic pay who does not avail more than 5 days C.L. 14. PROVIDENT FOUND : Up to 5 years of service 72% and thereafter 10% of basic pay. 17. NIGHT MEAL ALLOWANCE : Tk. 45/- per head if any employee is detailed for duty beyond 10 P.M.
18. SECTION ALLOWANCE : N I L.
19. LUNCH DISTURBANCE ALLOWANCE : If any worker (Especially peons, Drivers, Delivery men, Purchase clerks) remains on duty outside the office or factory during lunch break he is entitle to Tk. 45/- per day. 20. EXCRETIVE : If any worker works on higher grade for a minimum period of one week he is entitled to difference of basic wages between his own grade & next higher grade on a pro-rate basis for the weeks he actually worked. 22. OUTSTATION ALLOWANCE : An employee is entitled do outstation allowance as shown is annexure-11. 24. FASTING ALLOWANCE : Muslim employees who fast during the month of Ramadan are entitled to Tk. 40/- per head for per day of attendance. 25. CONVEYANCE ALLOWANCE : Company provides transport to attend specials if TO ATTEND SPECIALIST advised by the Company’s Medical Officer. In case of failure to provide transport, the company pays conveyance allowance @ Tk. 60/- of each up @ down trips. 26. OVERTIME : Double of the ordinary rate. For work on Friday & festival holiday payment is made at triple rate. 27. TEA ALLOWANCE : A worker/employee is entitled to Tk. 3/- per day if he is detailed for an overtime duty beyond 2 hours after normal working hours. OVERTIME/ DUTY : Company pays actual taxi fare if a worker is required to perform duty beyond 9.30. 29. UNIFORM : All employees other than clerical staffs are entitled to 2 sates of Uniform & 1 pair of Shoes Company provides winter uniform, Gum Boots, Umbrellas to employees who perform outdoor duty. 30. WASHING OF UNIFORM : The Uniform of worker is washed & calendar in the laundry section of the company. 31. SPECIAL INCENTIVE : Next higher grade scale once fore non promotes who worked for last 12 years. Basic Salary is fixed by adding one increment at the time of promotion. 32. LONG SERVICE AWARD : A gold medal along with a certificate & crest is awarded after completion of 20 years service with the company. 33. GROUP INSURANCE : Company took out Group Insurance Policy cover its employees against total or partial disablement caused by accident and death whilst in employment for an amount of Tk. 100,000/- & Tk. 90,000/- per head for Selection & other workers respectively. The premium is paid by the Company. OF DECEASED EMPLOYEES :If any employee expire whilst in employment the duty of all employees from 1.30 to 5.35 P.M. on any day fixed by the management in consulate with the Union has been treated as overtime as a token of assistance to the bereaved family. 36. BICYCLE LOAN : The Company has a fund of Tk. 2, 00,000 to the scheme with a view to grant loan without interest to the workers to purchase new bicycle. 37. CANTEEN : Two times tea free of cost. Lunch is for Tk. 1/- only. Separate diet for patient. Separate arrangement for employees who do not like fixed menu of Beef/Mutton/Fish. Arrangement is made to keep the curry & other things hot. Rich food is served on Thursday. Company’s expenditure on this respect for each employee is approximately Tk. 050/- per month. 38. MEDICAL FACILITIES : Company has a medical Centre in the factory remises. There are two doctors one compounded, one tuff nurse & two nursing orderly and a dispensary in he centre. Medical Centre is kept of during entire period of work and during overtime. 39. PANEL DOCTOR : To facilitate workers to get treatment on holiday and during leave the Company has a panel of 5 doctors at different areas of Chittagong city. In case of emergency, panel doctors visit the residence of employees. For workers (de post & branches) other than Chittagong factory there are doctors appointed by the Company. 40. FIRST AID ARRANGEMENT : Sufficient first-aid boxes in all sections of the factory, sales depots & branches are kept. 41. RECREATIONAL FACILITIES : Club, Annual drama, Picnic, Library, indoor games, Company’s exp. more than Tk. 1.00 Lac for the purpose. 42. NEWS PAPER & PERIODICALS : 7 National & two local daily news paper & some national & foreign periodicals are provided by the Company. 43. CHARTERED BUS : Company has own & Chartered buses for transportation of the employees. 44. REFRESHMENT FOR OVERTIME : 2 pieces of best quality bread, 1 boil, egg & 1 cup of tea etc. provided. 45. FESTIVAL ADVANCE : To enjoy religions festival with satisfaction Company gives advances without interest to the workers on the occasion of Eid, Durga Puja, Christamas day & Buddah Purnima. 46. OTHER LOAN FUND : No. assistance to the employees in case of severe hardship caused by fire, flock damage, theft etc. 48. WEDDING GIFT : No. 49. APPOINTMENT OF DEPENDENT : Appointment specially in the unskilled nature of job, the dependents of employees are given preference In the recent past 80% of workers, helpers clearness, clerk already been appoint from dependents of employee. In some cases the old employees resigned from services & their dependents were appointed in their posts. 50. CO-OPERATIVES STORE : Essential goods are sold in here to the workers, so that can purchase goods from the store at a low price in compare on wigmaker price & on credit. 51. HIGHER EDUCATION AWARD : Financial assistance is given from Benevolent found. 52. ARRANGEMENT FOR PRAYER : A beautiful Mosque of male employees & a decent prayer Hall for female employees. Company provides mats during the winter seasons. 53. EID-RE-UNION : With a new to get together, a lunch is arranged by the management on any working day in consultation with the Union just after Eid-Ul-Fitar. The approximate expenditure varies from Tk. 110/- to Tk 120/- per head fro such lunch.
. MYEENUDDING CHISTY : These two functions are celebrated gorgeously Excellent dinner is prepared on these occasions. 55. BASIS OF PROMOTION : If there any vacancy exists in higher grade, the position normally filled in by promoting suitable employees from lower grade. Promotion is generally made based on merit put when ability merit & capability are equal. Employee’s wit largest seniority is given preference. Most of the managers, Officers, supervisors & senior workmen were promoted from lower grade. 56. TRAINING FACILITIES : The Company has its own training cent with a training officer. Training on safety & accident presentation, human relations etc. is given through lecture, slide show, film V.C.R. Company’s Management & officers deliver lectures in the training centre. Sometimes Professional men are also invited to impart training to the workers. Besides Company’s own arrangement to provide training, the employees are sent for training outside the factory. All expenses in this respect are borne by the Company. 57. LABOUR MANAGEMENT RELATIONS : Harmonious & cordial labor management relationship prevails. 58. GRIEVANCE HANDLING PROCEDURE : Grievances of the employees are always being given due-consideration. 59. PARTICIPATION COMMITTEE : Is in existence. 60. LABOUR TURNOVER : Very negligible. 61. DRUG POLICY & ENTRANCEMENT : Owing to drug policy-1982 in total 27 popular items of the company were excluded & the financial impact was 33%. But despite the fact Company which boosted up the morale of the workers. 62. EMPLOYEES SUGGESTION SOHEME : The Company has a suggestion Award scheme to facilitate their employees to put forward their valued suggestions for the betterment and overall development of the company. The scheme has been taken up by the management to give an opportunity to the employees to explore their potentialities to utilize their intimate knowledge of work and also for the growth & progress of the company’s business. Workers are given case reward according to the result achieved from the suggestions. 63. TOOLS & EQUIPMENT : Excellent. 64. SAFETY HEALTH & SANITATION : Excellent. 65. NEATNESS & CLEANLINESS : Quite neat & clean. The employees of Glaxo are proud of their factory building as it is the most beautiful in the country. Company has 35 cleaners to keep factory & office neat & clean. 66. LIGHTING AND VENTILATION : Properly lighted & ventilated. 67. AIR CONDITIONING : Most of the departments & office building are centrally air-conditioned. 68. ACCIDENT PREVENTION : It has a safety committee. Company provides safety equipment. Ample equipments have been kept for fire fighting No fatal accident so far. 69. ACCIDENT RATE : Very negligible. 70. LEAVE : 10 days. a) Casual leave : 10 days. b) Sick Leave : Supervisor = 21 days. Accumulation = 84 days. Others = 14 days up to 10 years & thereafter 16 days Accumulation unlimited. c) Annual Leave : Supervisor = 21 working days. Others= 15 working days up to 3 years & thereafter & 21 working days. Accumulation= 63 days. Encashment is allowed over 35 days. d) Quarantine Leave : 21 days with pay. e) Accident Leave : With pay till recovery. f) Special. Sick Leave : A worker below supervisor who suffers from serous and prolonged sickness & has no sick leave in his credit is allowed 30 day’s special leave on recommendation of the Co.’s medical officer. 71 FESTIVAL HOLIDAY : 15 days. 72. WEEKLY HOLIDAY : 2days on Friday & Saturday. a) Office : 391/2 hours weekly from 8.30 A.M. to 5.00 P.M. ½ hour break for lunch. Tea is served on the table. b) Factory : 45 hours weekly from 8.00 A.M. to 5.35 P.M. with ½ hour break for lunch & 20 minutes break for tea. a) Factory : 34 hours in a week. b) Office : 29 Hours in a week. 75. SECURITY MEASURE : Strict security measure is maintained. To find out the most important motivational factors for higher productivity I have made a questionnaire survey among the GSK employees. Below I am giving the findings with analysis of the questionnaire survey. To find out the most three important factors I have given these eleven choices; An interesting job, A good boss, Recognition and appreciation for the work I do, The opportunity for advancement, A satisfying personal life, A challenging job, Good working conditions, Sensible company rules, Regulations, procedures and policies, The opportunity to grow through learning new things, And finally A job I can do well and succeed, in the questionnaire. According to the respondents the most valuable thing to them is “Good working condition” .The employees of GSK believes good working condition is the most important and motivational to them. The second best is “Sensible company rules, regulations, procedures, and policies” and the third attractive is “Job security” to them. And the least important factor to them is” A challenging job”. To find out the most three important factors I put these eleven choices; Salary, Kind benefit, Management Practice/Corporate culture, Good boss, Transportation, Medical benefit, Holidays., Opportunity for learning., Company image., Formal Recognition through reward., Old age benefit, in the questionnaire. According to the respondents, I found that from the all benefits that the GlaxoSmithKline Bangladesh Ltd is providing to them, the Company Image is the most attractive to the GSK employees. Second most attractive to the employees is the Salary and then the third most attractive is the Holydays of GSK Bangladesh and the least attractive is Old age benefit. Among the total respondents, 28% are highly satisfied with the present salary and about 72 % are satisfied about the present salary structure. In this case, I found that the average respondents are satisfied with the salary. And interesting finding is that, none of the respondents are uncertain or dissatisfied which in the context of the third world country industry is quiet abnormal. As from the research, it is quite sure that the employees of GSK are happy with the existing salary. However, the most interesting thing is most people believe that money is the biggest incentive, which is not. Therefore, motivation cannot be boosted, certainly long term, simply by giving satisfactory salary at the employees. Of course, salary (in fact total remuneration) is important. Nevertheless, it must be considered, just like every other factor, but you do not need to write off salary completely. A salary increase, especially one awarded for merit, is certainly motivational. Among the total respondents, 90% are satisfied with the present bonus offered to them and about 10% are dissatisfied about the present bonus structure. In this case, I found that the average respondents are satisfied with the bonus. Among the total respondents, 90% are satisfied with the present kind benefits offered to them and about 10 % are uncertain about the present kind benefits. In this case, the researcher found that most of the respondents are satisfied with the present kind benefits offered to the employees. 72% of the total respondents describe their supervisor friendly and rest 28% describe very friendly. This satisfaction is very important for productivity. If employee is not satisfied with his supervisor, the rate of production will drop. In the case of GSK, the employees are satisfied and some extent delighted about their supervisor, which helps GSK to maintain higher productivity. 100% of the respondents have remark their supervisor’s decision as fair. A good and fair supervisor is quite important for an organization for higher productivity. If employees feel that their supervisor treats them unfairly, the motivation for work will decrease which will affect the total productivity of the company. Among the total respondents 72% think that the goals set to them are normal and about 18% thinks that the goals set to them are very challenging and 10% remark as easy. In this case, the researcher found that the average respondents judge the goal as normal that the top management set to them. It is always an excellent idea to set challenging goals for the employees, as long as they are viewed as realistic and attainable, more difficult goals lead to higher performance than easy goals. People work harder for goals that they accept and believe in; they tend to resist if goals forced on them. 64% of the respondents remarks their work as interesting, 18% remark as very interesting and 18% remark as, as usual. This involvement in goal settings is important to motivate employees for higher productivity. If employees are involved, in selecting their goals beside the management, they will feel the job as their own job and they will do it with sincerity. Here, among the 100%, 45% remarks that they always and sometimes participate in settings goals and 10% remarks they never participate. Goals that employees have some responsibility in setting are much more likely to be achieved than those are, which are imposed. And those goals do become effective motivators. There must be a common goal, an objective, or even a cause to fight for .It is utterly impossible to motivate an employee or a team of employees without one of those three things. The goal must be created such a way that serves the purpose of the organization and at the same time the employee or the team of employees. It is no good imposing a goal onto an employee or a team that stimulates or interests the top management, the leader, but does not interest or stimulate the employees or the participants. So here, it is praiseworthy that the GSK top management involving their employees while setting goals for them. 45% of the respondents see a bright future of themselves in the company whereas 18% see very bright and 27% respondents are not sure about it. In this case, the researcher found that the average respondents believe that they have a bright future working for GSK, Bangladesh. Competition is really high and the promotion will be given to those who have got good educational background, have shown outstanding performance, able to increase the productivity etc .Off course there will be some employees who will not able to perform according to the GSK management expectation, not only that their education background also doesn’t permit to offer them higher designation with higher responsibilities by giving promotions. However, when these employees will feel that they have no future in GSK then off course they will be de-motivated. The ‘no future here’ feeling can be managed and diminished by good management. If the GSK higher management is aware that for some employees there may not be career advancements or opportunities within their organization, they can at least provide the stimulus and motivation that reduces that no-future-here feeling. They can do this by providing recognition for jobs done well, by changing and sharing responsibilities, by involvement in decision-making and per-haps most importantly, by providing training opportunities. Therefore, it is motivating for the employees as GSK management has designed a excellent career path for their employees. 63% of the employees are satisfied with the supervisor and 27% are very satisfied. Among the total respondents, 56% think that when they give the highest effort it is recognized in their performance appraisal often, about 10% are uncertain about the situation and about 27% think it always recognized. In this case the researcher found that the average respondents believe that it is included in their performance appraisal when they give optimum effort. The employee will be motivated to exert a high level of effort when he or she believes that effort will lead to a good performance appraisal; that a good appraisal will lead to organizational rewards like a bonus, a salary increase, or a promotion; and that the rewards will satisfy the employee’s personal goal. Among the total respondents, 63% think that when they have a good performance appraisal, sometimes it leads to organizational reward, about 10% are uncertain about the situation and 27% think it leads always. In this case, the researcher found that the average respondents believe that they will be rewarded if they have got good performance appraisal. When employees perform well in the organization the top Management must ensure those employees getting something they want. These rewards must be perceived as being directly attributable to their performance. Only by creating and supporting the performance-reward link will both the employee be motivated and rewarded and the organization will be more productive and moving towards meeting its goals. So it is very much appreciable that the top management of GSK always judges the employee performance by their outstanding appraisal system. Among the total respondents, 63% think the working condition (Physical facilities) of GSK, Bangladesh is satisfactory, while 10% are not sure however, 27% are very satisfied. As GSK management has created an outstanding working environment that will attract, keep and motivate GSK employees, and also give employees a sense of pride and purpose in what they do. I think providing a positive work environment pays off financially to the GSK management because most employers do not know how much turnover is costing them. It is amazing that among the total respondents, 95% think the GSK has been taken good care of them however only 5% think taken advantage of. Among the total respondents, 72% think that they can take suggestions very easily when they are confused with anything in their work and about 28% think that they can ask for clarification easily when they are confused with anything. In this case, the researcher found that the average respondents believe that they can ask for clarification very easily when they are in confused situation. Among the total respondents 72% think that they don’t feel constrained by too many unnecessary rules, and about 28% rated that they have feeling otherwise. In this case, the researcher found that the average respondents believe that the GSK management doesn’t impose any unnecessary rules on them. Among the total respondents 90% think that they are fairly treated by GSK management and about 10% rated that they are not sure about what they are getting from he management .In this case the researcher found that maximum of the respondents believe that they are getting satisfactory treatment from the GSK management working for GSK, Bangladesh. When an employee genuinely feels unimportant or ill-treated he/she will definitely be de-motivated .So it is very important for the top management to see that the employees are always valued and fairly treated. Motivation and commitment are likely to be enhanced if employees feel that they are valued and fairly treated. This means investing in their success , trusting and empowering them, giving them the opportunity to be involved in matters with which they are concerned, keeping them fully in the picture , treating them fairly and providing them with rewards (financial and non-financial) which demonstrate the extent to which they are valued. But after the research it is really appreciable to find out GSK management is treating there executives with real care. Among the total respondents, 81% any criticism of their performance or manner is done privately by the GSK management and about 29% think that the GSK management tells regarding their performance or manner both in private and in public does criticism. In this case, the researcher found that the average respondents believe that the top management of GSK, Bangladesh always criticizes their employees regarding their performance or manner privately. This is a good sign, the researcher praises the effort of the management for criticizing their employees about their poor performance of manner privately because if a worker criticizes or yelled a manager in front of that worker junior officers or colleagues than the worker will feel embarrassed and demoralized and his motivation will be extremely affected. Among the total respondents, 54% think that they can express their opinion without fear of being marginalized or losing favor always, about 45% rated that they can sometimes free to express their opinion not always. In this case, the researcher found that the average respondents believe that they can express their opinion without any fear of losing favor. The researcher believes it’s a great sign because if the employees can open up with their opinions to their bosses, it will create a bridge of relationship among them and these employees will be able to work as a team and naturally there will be more understanding between them and team synergy will increase which will highly benefit the GSK, Bangladesh ultimately. Among the total respondents, 19% are very satisfied with the present transportation facilities that are offered to them and 81 % are satisfied about it with the transportation facilities of GSK, Bangladesh Ltd. In this case, the researcher found that the average respondents believe that the top management has provided them satisfactory transportation facilities. Among the total respondents, 54% is happy and satisfied with the medical benefit they are getting from the GSK, Bangladesh Ltd, 26% are very satisfied and 10% are not sure. It can be said here that health is the ultimate thing to a human being, if it can be taken good care off than that person will easily be able to serve with full potential. Among the total respondents, 27% are very satisfied with the present old age benefits and 27 % are not sure about it probably they have not experienced the situation whereas 46% are satisfied. In this case, the researcher found that the average respondents are quite satisfied with the present old age benefits offering to them by GSK, Bangladesh. Among the total respondents 10% think early retirement benefit are very attractive, about 16% rated as attractive, 46% rated as ordinary and 28% think that they are never and not at all attractive. In this case, the researcher found that the average respondents are not eager about the early retirement so they are not interested to pursue those benefits. 45% of the respondents feel that they have a lot of scope to improve their skills whereas 10% feels they don’t have and other 45% feels they have some sort of scope to improve their skills. * GSK is an excellent organization for learning & development. * GSK s vision is very much clear. This part divided into two parts, in the first part as recommendations I have given those, which I gather from my questionnaire survey, and at the second part, I have given those, which I got from face to face interview and observations and I felt GSK need to consider. * Compensation & benefit should be revised/ updated with other good organization. Compare to other multinationals GSK lacks benefits in some sectors; old age benefits; this thing need to closely work it out by the Top management of GSK. In the questionnaire survey I found that, the old age benefit is ranked as the least attractive benefit to the employees providing by GSK; whereas almost every employees look forward toward this benefits for there old age. Therefore, more facilities that are similar at least not more but like the other multinational in Bangladesh GSK need to give to increase their productivity. While recruiting the employees, the GSK management needs to think and give special attentions to certain things like employees who are in positions they are just not suitable for that position, will always be difficult to motivate, and may never produce the quality of work and productivity the GSK management wants . Interesting Routine jobs: Interesting routine jobs can made more pleasant by communicating to people what an important contribution they make; if the routine job is not interesting employee will feel bore and productivity will decrease. Environment: Things will be better if you have sufficient space (both to work, to interact –or to get away from –others) comfortable seating and the occasional cup of coffee or tea, good meeting areas. Communication is influenced by environment also. I closely observed the facilities of the GSK, Bangladesh Chittagong site and come to a outcome that though the GSK management had already successfully provided all the facilities regarding physical infrastructure and environment is concern, in the meeting room of the employees there should be more reading materials and the size of changing room of the work place need to increase. GlaxoSmithKline is one of the most prominent multinational Pharmaceuticals Company in Bangladesh was established to provides a good and sound health protection medicine to our people. Being a multinational company it faces some restrictions by local drug administration, as there is a bar to produce some costly but profitable products that are produced by local companies. Moreover, its standard operating procedures products manufacturer it is always concerned about the highest quality of its products. Now it is not utilizing its full production capacity. Because of its firm attitude toward quality, its production cost is increased and hence it is becoming in competitive in the market for some products. It can regain it market share if it can procure raw materials at lower cost. Moreover, it needs to take aggressive sales promotion program to increase sales. In time, it can be said that GlaxoSmithKline Bangladesh Limited has created leadership position in pharmaceutical field through its high quality products, services, and research and development programs. However, it should maintain its existing goodwill as well as improve its market share to survive.